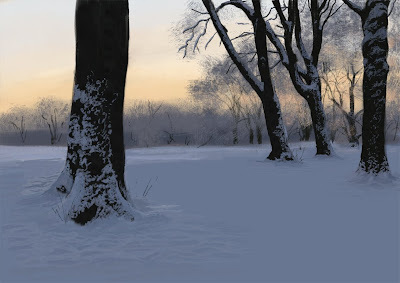 This is my second study on the snow theme. This time I decided to try a pinkish light at sunset. Environment study done for computer game. 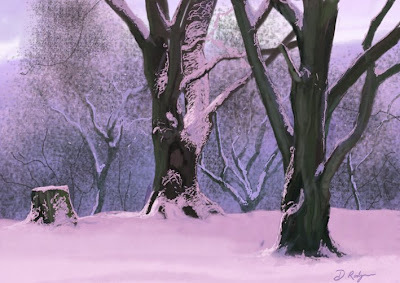 I'm working out how to best depict snow and how it looks under a variety of lighting conditions. I am also finding it interesting to notice how snow settles on different surfaces.